Menu, click on "Your Account" - "buy credits"> -> "Send Order"
After clicking "Send order" you will receive a payment summary. You click on "PayPal BUY NOW" or "Subscribe" in order to pay by paypal. 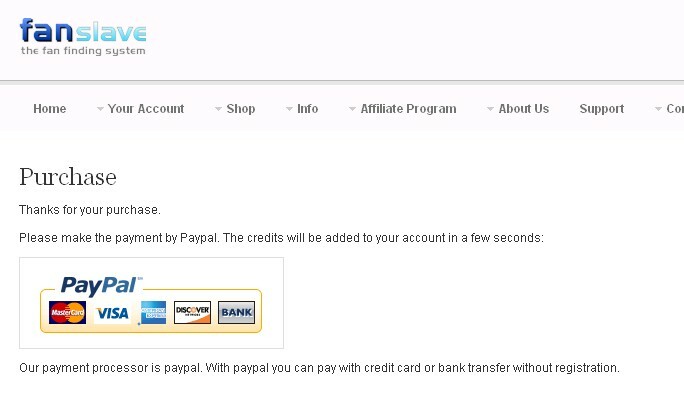 With this credit you can now automatically get fans from the fanSlave system.